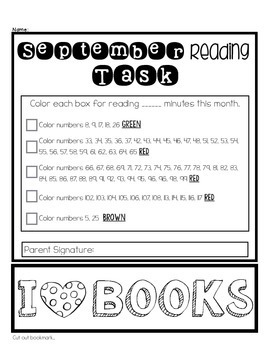 Teachers can choose which reading log you want to send home with students, there are 2 logs to choose from each month. On one log you can set a weekly goal of how many minutes you would like each student to read. Bookmarks are included for each month! 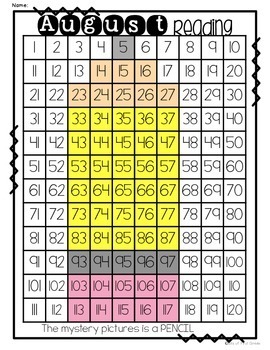 After students read each week or read for the month, they will get to fill out the Mystery Picture. 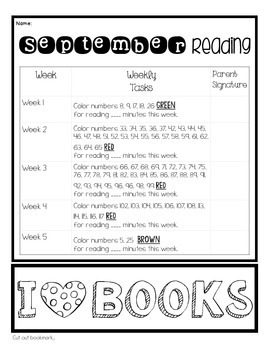 This is a great way to help motivate students to read each month! 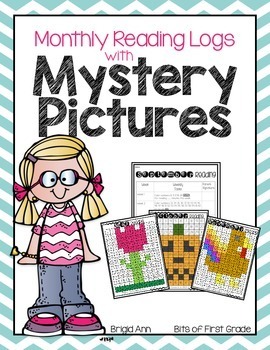 View the picture examples to see what the reading logs and mystery pictures will look like in this packet. **Don't forget to follow my store for more product updates! ***Don't forget to rate my products to earn TPT credit towards other purchases.